The Courageous Fliers program was developed to build confidence through the joy of flight. 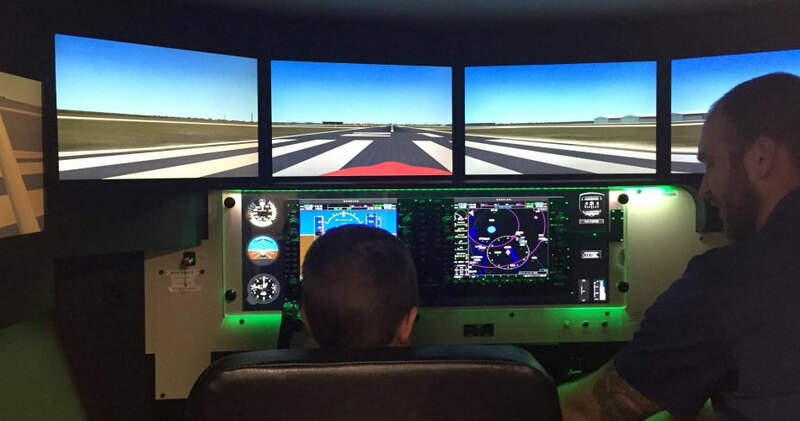 The multi-year program delivers program services occurring year-round and range from playing a flight simulator game up to flying a real plane or hot air balloon. Our focus always remains on building the child’s self-confidence and supporting the family’s needs. Click here to learn about a Courageous Flier’s journey through the program. To provide confidence-building experiences for children whose families struggle with the loss of confidence and emotional toll of facing a serious health challenge or losing an immediate family member to illness. There is no charge to families who have children participating in the program. Program activities and events are always free with no additional associated cost. The program is designed for children between 5 and 18 years old who face health challenges or have lost an immediate family member to an illness. If you have more questions about the program please e-mail mail@flight1.org. There is a registration process but there is no application/approval process. The need for service is left up to the discretion of the parent or guardian. This streamlined approach helps get children into the program quickly. Ready for your child’s confidence to soar?